Columbia State Community College nursing student Sarah Gilbert and Morning Pointe of Spring Hill (TN) resident Brady Luckett share an early morning laugh. 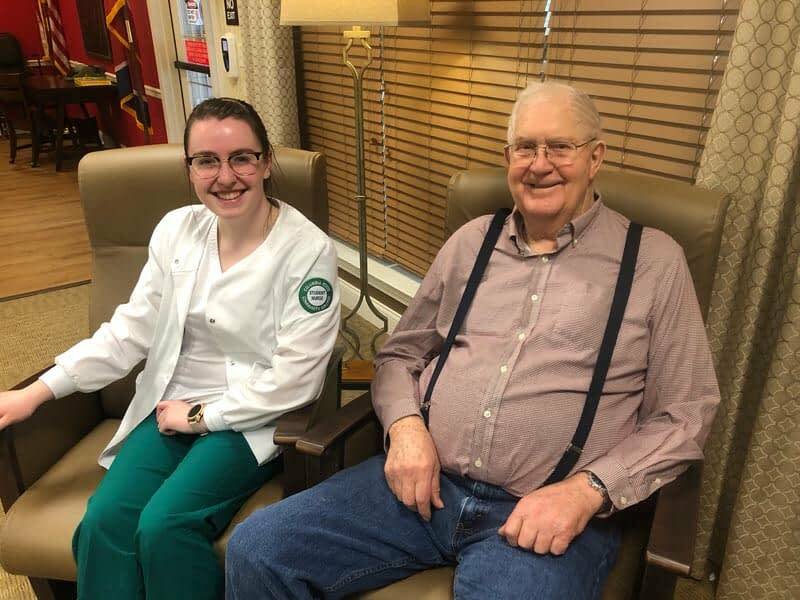 Gilbert is one of four nursing students who will spend the next six weeks participating in clinicals at the assisted living and Alzheimer’s memory care community. “We are so grateful to work with such talented and compassionate students and so happy to be able to partner with Columbia State!” says Lantern program director Helen Melsa.